Are you asking the question; "How to create a blog? and where to start? ". I'm really glad you arrived here! In this article, I will guide you step by step in creating your blog with WordPress. There are no technical prerequisites, you do not have to be an HTML or CSS pro. Just arm yourself with your favorite coffee and a little patience, and follow the steps one by one. We’ll cover how to choose a blogging platform, set up web hosting, get a domain name, choose a blog theme, and everything else you need to get started! And if you have any questions, leave a comment at the end of the guide. I will answer as soon as possible. Ready to create your blog? Let's go ! Step 1: Why Create A Blog? The reasons to blog are as diverse as the fingerprints of a newborn. - To make money by working from home. 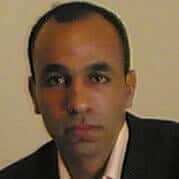 A large part of my income comes from my blog and thousands of people have chosen to create an income to blog. 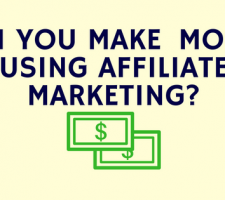 Making money with a blog is a lot of work, but it is within the reach of many people and the risks are not high financially (maximum $ 100) if you know how to do it and you have the motivation . - Get more visibility for your business. Whether you are self-employed, an SME or a large company, a blog gives you the opportunity to get very high visibility at a lower cost. - Become an author of a book. Today, publishers rarely work with authors who do not have an online presence. The reason is simple: it's much easier to sell books to people who already know you. A blog is a simple way to make yourself known. - Just to write and share. If you want to share your travels, stories, encourage other people or create a community, creating a blog is an excellent medium. Can you see how you could benefit from a blog? If you are already part of a company or you own a company , the subject of your blog will be quite easy to determine. Your site should be related to the products or services you provide. 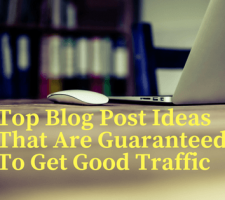 Your blogging business is going to start with the selection of a topic. You have to decide a topic for creating your blog and write on it regularly. Find a niche through which you can demonstrate your know-how.If you can’t think of any topics, then think about your hobbies. Select something that you really enjoy. The goal of any blog is that people know that your website is the place to go to find what they are looking for in your subject. FAQ: How much does a blog cost? If you use the strategy below, it will cost you between $5 to $10 a month. I blogged for few years on this budget. But as my blog grew, I ultimately started paying for some premium tools , but they are not required to start up. The first step is to choose the platform for your blog. There are dozens, but you have probably already heard of WordPress, Tumblr, Wix or Blogger. The # 1 platform for a blog (and by far) is WordP​​ress. WordPress is used by more than 25% of the sites in the world. And if we consider the Content Management System (CMS. Basically a system that allows you to easily add content on your site without having to code in HTML), the market share of WordPress is more than 55%. You will understand, WordPress is a must and it is the platform that I recommend to use. This is the platform I use for all my sites and blogs. Why WordPress became the number 1 platform? The ecosystem around WordPress is gigantic. There are thousands of developers offering plugins and themes (free and paid), as well as custom development and maintenance services for your blog. WordPress is safe. It is regularly updated and you will be safe from attacks and other hacks subject to regularly make these updates. You can of course start with another platform, and these also work well. But they are not at all comparable in terms of scalability, you will be much more limited. In fact, if you decide to bet on another platform, when your blog starts to be successful, it is likely that you will feel the need to migrate to WordPress, and you will regret not having started directly with WordPress; ). If you dig the WordPress topic, you will realize that there are two versions. WordPress hosted on your server: We are talking about this option when referring to a blog on the site "WordPress.org". This is the option I recommend to you without any doubt. WordPress.com is a hosting platform that uses WordPress software. It is like Blogger or Tumblr. It is a slightly easier option to take in hand, but much more limited. In fact, it is mainly because of all the limitations that it is easier to handle. The big downside of this solution is that you are severely limited on many levels. You only have a much smaller choice of themes, you can not install plugins. You can not change the code of your site (eg PHP files). In addition, the form of your domain name is imposed (me.wordpress.com), unless you upgrade to paid plan. Last thing: you are not really in control of your content. Indeed, WordPress.com can decide at any time to delete your blog. The domain name is your online identity. The domain name of this site is emarketinghacks.com. That's what people type every time they want to find your site, and it's tied to your branding strategy so people remember who you are. Take the time to think about a domain that relates to what you want to offer on your site. Many people simply use their names, while others may have company names to use. Many other sites try to focus on keywords, which can help a little, but that's not going to make or break your search engine optimization. Inspiring confidence. Opt for an extension known to everyone (.com for example). More exotic extensions can scare away. There are several sites to check the availability of the domain name you have chosen like name.com. How to choose your host? There are hundreds of web hosts , which will not help you take your final decision while choosing your hosting. For bloggers choosing a host is like searching for Mr. Right, which is a a familiar dilemma. So how to choose one? Performance - Speed and Up time : After you’ve invested your time and money into designing a great website, you should avoid annoying your audience with slow load time. Look out for a web hosting that has features that make your site load fast and guarantee 99.9% up time. Customer Support: No matter how reliable your hosting company, there will inevitably come a time when something will go wrong , or you’ll need to ask for assistance. So, ensure you have a great customer service team waiting to help you answer your queries. Security & backup: A web hosting with great security strength is for sure what you want, especially if you’re planning on getting your customers information via your website like Offering a SSL . Scalability: With your business and brand awareness growth, traffic to your blog also increases. With such a rise, you need web hosting with easy scalability to make sure it will be able to withstand the increase. Taking into account these 4 criteria, the host I recommend is SiteGround. Honestly, I' m a really big fan of SiteGround. They’re extremely fairly priced, have the resources you need to run a great blog or website , and a support team to assist you when you run into any problems. Saying this, here’s what’s so great about SiteGround, based on experience. Great online customer support.Admin dashboard is very easy to use. Affordable monthly plans, starts at $3.95/month. They make feature upgrades very simple. Have not experienced their web servers going down yet. They just got recommended by WordPress.org. Related Post: Blog Hosting Solution – Which is the Reliable for you ? This simple process will point your Namecheap domain name to Siteground, where you can use it to build a website. We are now entering the concrete. At the end of this step, you will have a functional WordPress blog, on your domain name. Note: I will show you the following steps at SiteGround. The process is very similar at the majority of hosting companies like Bluehost. 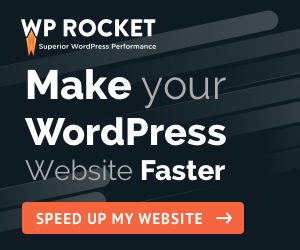 If you want to use another host (I'm not sure why, but hey,), make sure that this host offers easy installation of WordPress in one click. If this is not the case, you will have to do it manually. This can be a bit complex and should be avoided for beginners. Go to SiteGround.com and click on “See Plans". because of the premium features included, such as more backups (last 30 days vs. the last day for the StartUp plan ) ), as well as more advanced cache features (useful for speeding up your blog). You'll also have priority access to customer support, and a faster site. In short, all this is worth a few dollars more in my opinion, but the StartUp plan can do the trick too. Once you have chosen the package you want, click "Get Started" button. Once all the information is entered, you will come to a page where you can choose the domain name for your blog. Select "Register new domain" and enter the name you have chosen before and the desired extension. Note that the registration of a new domain name is offered by SiteGround. If you already have a domain name, click on "I already have a domain" and enter it. In this case i have already a domain name. Subsequently, SiteGround will ask you if you wish to subscribe to additional services. You will then arrive on a page where you will have to choose a password for your account at SiteGround, enter your personal information as well as those of payment. Lastly, you can choose to subscribe your plan for a longer period (24 or 36 months instead of 12 months), which will allow you to benefit from the promotional rate beyond the first 12 months. A few moments after having validated the purchase of your plan, you will receive two confirmation emails, one concerning the validation of the payment, and the other concerning the validation of your order. Now that you have completely configured your SiteGround account, you can install WordPress on the host. To do this, open the email of validation of your order (including the object "Order Confirmation"), and click on My Accounts. If, by chance, you decide to come back later, simply log in to your SiteGround hosting account using the username sent to you. When you choose to go directly to the SiteGround client area, the SiteGround SetupWizard program is displayed. To start installing WordPress on your host select Get WordPress pre-installed on this account. Before you begin the installation process, SiteGround will ask you to choose your admin email, your WordPress username and password. 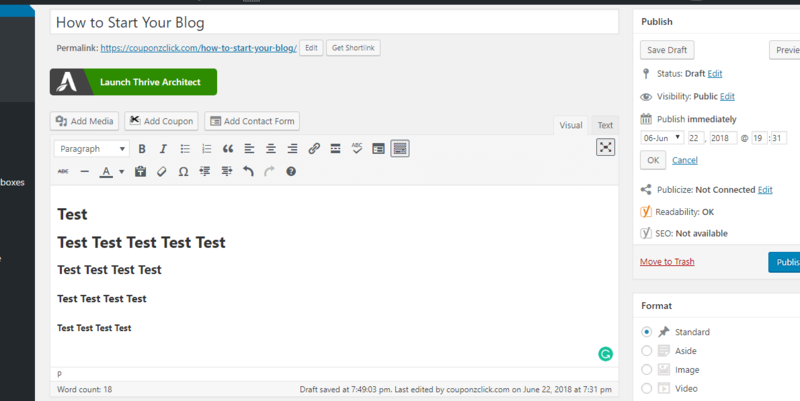 This information will be what you use to connect to your WordPress dashboard to do things like create and publish articles. If SiteGround did not ask you to set up a new site when you first log in to your account, do not worry. We will see right away how to install WordPress yourself in a few clicks. This is also the method to follow for many other hosts. Click on "My Accounts" then "Manage account". You must arrive on a screen like this. Click on "Go to cPanel"
Once in the cPanel, locate the "Autoinstallers" block and click on "WordPress". This will start the wizard that will allow you to install WordPress very easily, with a few clicks. After doing this, you will then be able to add a free WordPress theme to your website through SiteGround. Themes are what your website will look like from the visitors' point of view. Remember, there are tons of WordPress theme options on the market today, and you can change the theme on your website anytime, even if you pick one from SiteGround for now. When finished, click Submit. If everything has been done correctly, you will be congratulated for completing the settings of your account. On your SiteGround account, you will be able to visually see that WordPress has been successfully installed on your website. By browsing from the Home> My Accounts page, you will be able to see the domain name you have chosen with a small WordPress icon, to make sure that WordPress has been correctly installed on your web hosting account. If you click on the little green button near the right of your domain name called Go to Admin panel, you will be taken to your WordPress dashboard login screen. 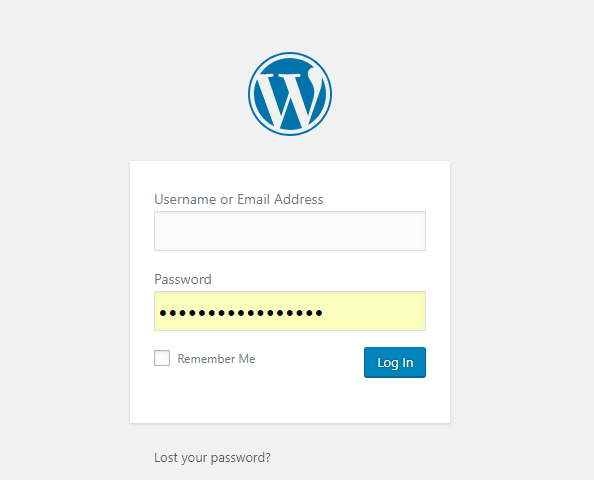 Here you enter the username and password you chose when installing WordPress. In this ection, I will now explain some basics of WordPress to help you in your first steps. 1) The dashboard: It gives you various information about your activity, including the number of articles, pages and comments you have. You can also start writing an article ("quick draft"), but we'll see in a moment a better way to do it. You will also find a feed with news around WordPress ("WordPress News"). Your dashboard can be enriched as and when information from other plugins, for example the display statistics of your blog visit. 2) Posts: This part allows you to create a new article on your blog, or to access existing articles to modify them. You can also manage categories/ tags. The categories allow you to organize your articles according to topics. 3) Media: This tab allows you to access your media library and add items to it. Thus, this media library includes all the media elements (images, videos, audio files, pdf files etc.) that you have added as you go along your site. 4) Pages: This part allows you to create a new page, as well as edit the existing pages on your blog. A page in WordPress is typically static content (which will change little over time) and differs from an article. 5) Comments: This tab allows you to administer comments. You will find comments pending validation, comments validated, etc. If you want to delete a comment, this is where it also happens. 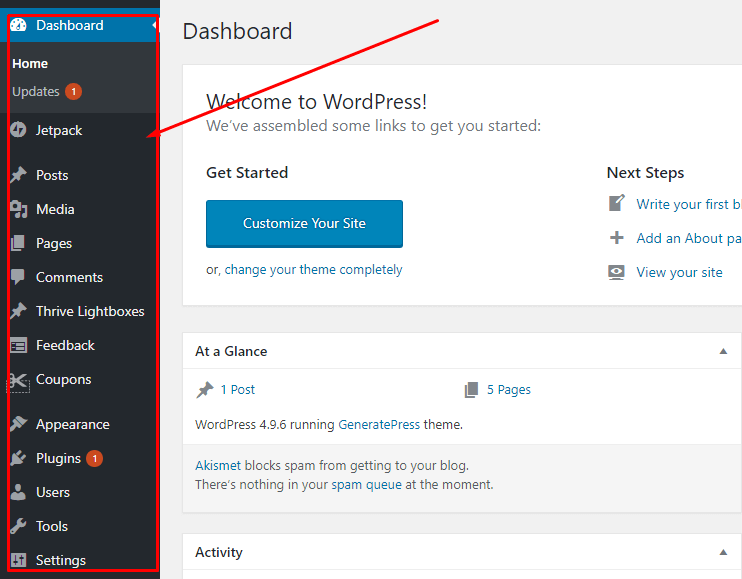 6) Appearance: This is where you can change the appearance of your blog, by installing new themes and configuring them. We will talk about it in more detail later. This is also where you can edit your menus, as well as your widgets (the items that appear in the sidebar of your blog). 7) Plugins: To install a new plugin (extension), this is where it happens! Installing plugins allows you to easily add new features to your site. 8) Settings: This tab allows you to change various settings of your blog, including its title, but also change the email address of the administrator, as well as other important settings for your site. WordPress uses so-called themes to determine the design and appearance of a site. To change the appearance of your blog, the easiest way is to change the theme. There are thousands of WordPress themes. Some themes are free, and others are paid. In general, paid themes (also called premium themes) are more complete, give a more pro, more serious, offer more features, are more regularly updated (important for the security of your site), and offer technical support. If you want to get serious with your new blog, I advise you to opt from the beginning for a paid theme. It only costs a few dozen dollars and it is a very good investment for your blog. I particularly recommend the themes proposed by Elegant Themes and MyThemeShop. Installing a free WordPress theme is very simple. Go to your WordPress interface, and click on "Appearance" in the menu on the left, then on "Themes". Then click on "Add" at the top of your screen. You will arrive on a screen presenting you with various free WordPress themes available. Using the filters, you can browse the different themes available (there are several hundred). 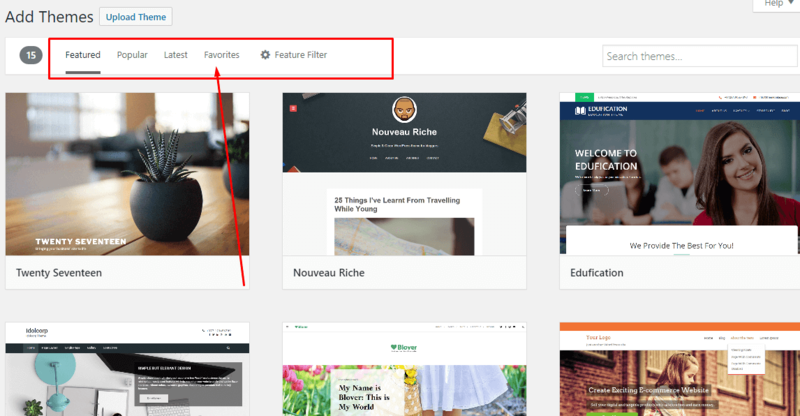 The filter feature is very useful, it allows you to filter the themes by layout and topic (Blog, E-commerce, Photography, Holidays, etc.). Tip : Do not choose a theme that is not responsive! If you like the theme, click on it. You will then be able to generate a preview , to see it in action, click Install. Once the theme is installed on your blog, you will have the opportunity to perform a live preview. This means that the theme will be applied to your blog for a preview, and you will see it in action with the content of your blog. 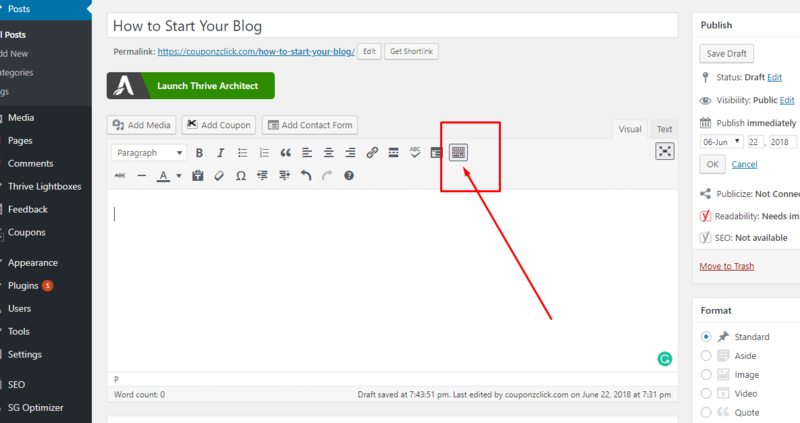 To use the theme on your blog, all you have to do is press Activate. To install a premium theme that you have previously purchased from Elegant Themes or MyThemeShop, the procedure is slightly different. First, make sure you have the theme files, which you can download after your purchase. This is an archive in .zip format. Then, go to your WordPress interface, and click on "Appearance" in the left menu, then on "Themes". Then click on "Add" at the top of your screen and then upload theme. 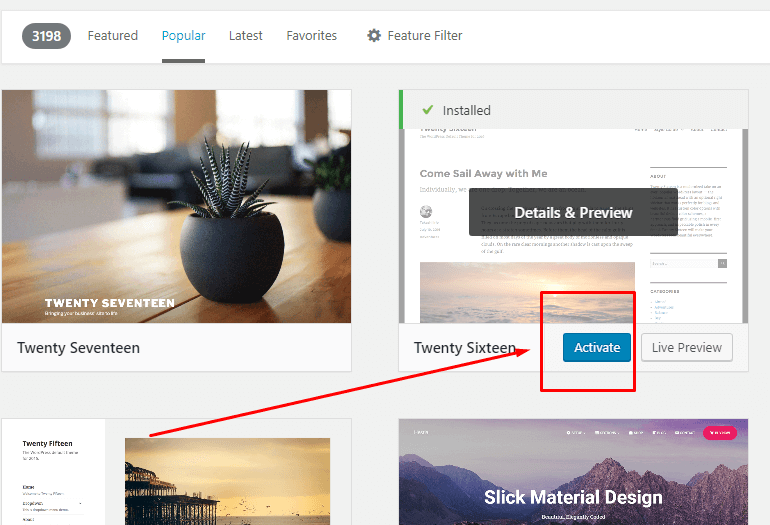 As I said before, WordPress plugins allow you to easily add new features to your blog. This can be adding contact forms, sharing a bar on social networks, or helping you optimize the SEO of your blog. there are several thousand of them. Most of them are free, or are available for free in a limited version, and offer a more complete premium version. Most of the plugins I use on my sites and blogs are free. However, there are some plugins for which I think it's really worth to invest a few tens of dollars. Thrive Architect: Plugin also essential for formatting your pages and articles according to your every wish. Now let's see how to install a new plugin. Go to your WordPress dashboard , and click on "Plugins" and then "Add". You will arrive on a screen quite similar to that of the themes, which allow you to browse the various free plugins available, do a search by keyword, get more information about a plugin and go on. When you find the plugin you need, click on "Install". The plugin will be automatically downloaded to your blog, and you can activate it by clicking on "Activate". To install a premium WordPress plugin, the procedure is quite similar to installing a paid theme that we have seen before. First, make sure you have downloaded the files of the premium plugin you just bought. This is in .zip format. Then, go to the dashboard , then click on "Plugins" then "Add" and then "choose file". 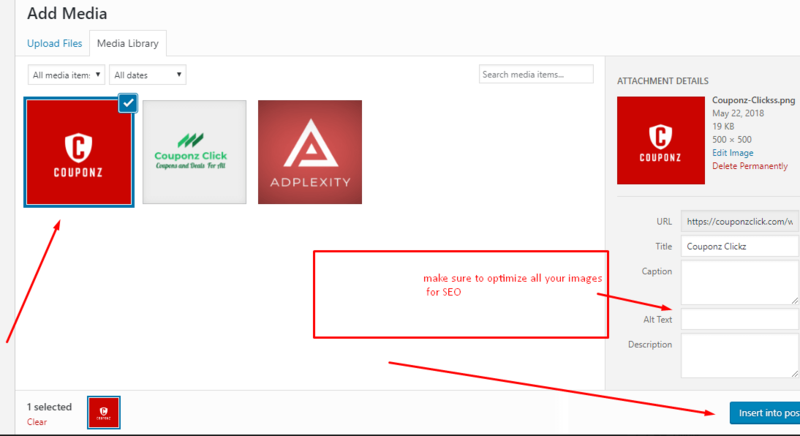 You will then have to select the .zip file of the plugin, then install it on your blog, last you need to activate it. That's it, your premium plugin is installed and active on your blog! which is neither understandable for your visitors, nor optimized for search engines. To remedy this, I advise you to make the following change. Go to your WordPress dashboard , then click on "Settings" in the left menu, then "Permalinks". Then select "Post Name", before confirming your changes by clicking "Save Changes". From now on, the name of the article or the page will be used for the links of your blog, which will be much more comprehensible for your visitors and advantageous for the SEO of your blog! In this last part, I will show you how you can write your first article. We will also see how to add images, how to add links and how to format. To add a new article, first go to your dashboard , then click on "Posts" and then "Add" in the left menu. You will arrive on a page allowing you to write your new article. You can add the title of your article in the top field, and the text of your article is to be written using the WordPress editor. When you write an article, you can save your draft by clicking on the button provided for this purpose in the box at the top right. You can also preview your article by clicking on "Preview". simply click on the "Publish" button. If you wish, you have the option to schedule the publication of your article at a later date. Once your article is saved (or published), you can find it, as well as all other articles you have on your blog, by clicking on "All posts" in the left menu. To make your items more attractive, several options are available. To add an image to your article, click on the "Add Media" button. Tip: Before you click "Add Media", be sure to put your mouse cursor in the right place in the text (where you want to add the image). Otherwise, you will have the option to move it. Click "Upload files" and then "Select files". Then select the image on your hard disk, and download it on your blog. The image will be added to your media library. When the image is uploaded to your blog, be sure to select the image, and click "Insert into post" to add it to the article you are writing. To add a links,select the part of the text where you want the link to appear, and then click the chain link icon in the toolbar. If you want the link to open in a new tab (this is the option usually chosen for links within an article), you first need to click on the small icon resembling a gear to access the link options. 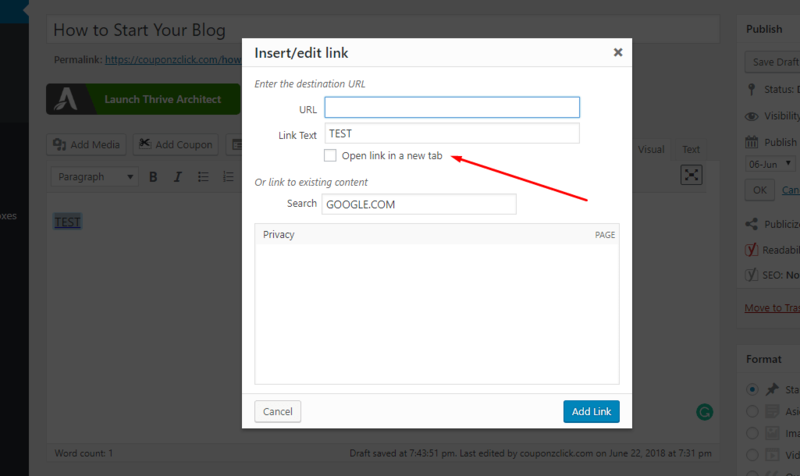 You can then check "Open the link in a new tab", then click on "Add a link" to finalize the addition of the link. WordPress offers you several tools to format your texts. If you're used to using a text editor like Microsoft Word or Google Docs, you will not be left out. First, click on the icon below to display all the options on the toolbar. Then you will see that you can put your text in bold, italic, the bar. You can add bulleted lists, numbered lists. You can align your text to the left, center it, align it to the right. You can change the color of your text, underline it etc. In short, you have a multitude of possibilities and I invite you to try them all! 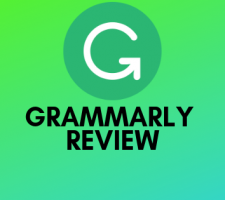 The default text for your article will be paragraph type. However, to better structure your article, you will probably want to add titles and subtitles to the different parts of your article. This is done by selecting the text to transform into a title, then clicking on "Title 2" or "Title 3" etc. To optimize your SEO, I recommend using "Title 1" only for the title of the article. Then use Title 2 for the subtitles of your article (the titles of the major parts of your article). If you still want to divide the different parts of your article, then you can use "Title 3" and so on, as you can see in the example below. Thrive Architect is the content editor we use here at eMarketing Hacks and on the majority of our sites. We love it and find it superior to other alternatives but it's not perfect. The idea is to let you build your pages as quick as possible using the drag-and-drop editor so that you don’t spend endless hours fiddling around with shortcodes, CSS and HTML, Etc. Affiliate disclaimer: Please note that this post contains affiliate links to Should you use one of my affiliate links to purchase this product I will be paid a small commission at NO additional cost to you. I appreciate your support always. At this point you have a fully functional blog built with WordPress. We told you that you would learn how to set up a WordPress blog in less than 15 minutes! Learn more about WordPress SEO so that your blog ranks higher in Google Search. We hope you found this guide useful, and congratulations on the launch of your blog! If you need help or have any questions, please let us know in the comments below and we will try to help you! - Blog Hosting Solution – Which is the Reliable for you in 2018 ?